Subscription services are a dime a dozen nowadays, and more services are being added by the minute. As such, many gamers may either not have heard about Xbox’s amazing play-what-you-want service Game Pass. 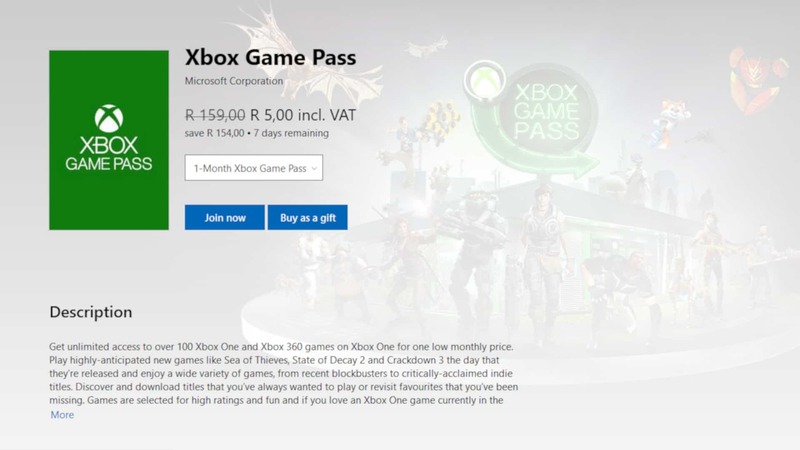 Whether that is the case, or whether you just have not felt the need to sign up, you can now get your first month of for only R5 ZAR in this E32018 Game Pass deal! Thanks to one of our eagle-eyed fans, a Vamerite going by the name of Brinley, we have quite the deal for you. 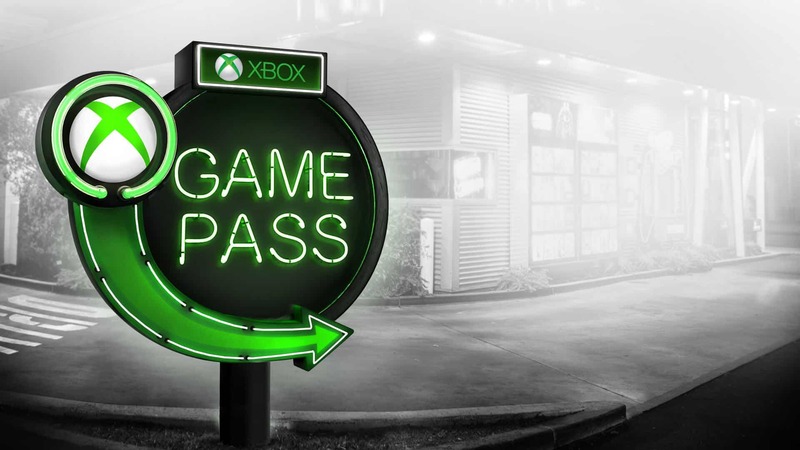 For a limited time, which seems to coincide with the Electronic Entertainment Expo 2018, Microsoft is offering a hefty discount to all new sign-ups to its Game Pass service. As long as you sign up for the service within the next seven days, you will be charged only R5 for the entire first month. For every month thereafter, you will be charged at the normal rate of R159 — that is if you do not opt for a 3-month, or even 12-month pass. For reference, both the 3-month, and 12-month passes cost more at the onset, but come with a nice little discount in the long run. Better still, Game Pass also works cross-platform for all Xbox Play Anywhere titles – most people do not know this. As for what you might expect from the service, it may come as a surprise that you will find hundreds of titles. The catalogue features a number of Xbox One titles, as well as select Xbox 360 titles with backwards compatibility. Recently, Xbox has also started to make exclusive Xbox titles available, which is an even bigger plus for the service. 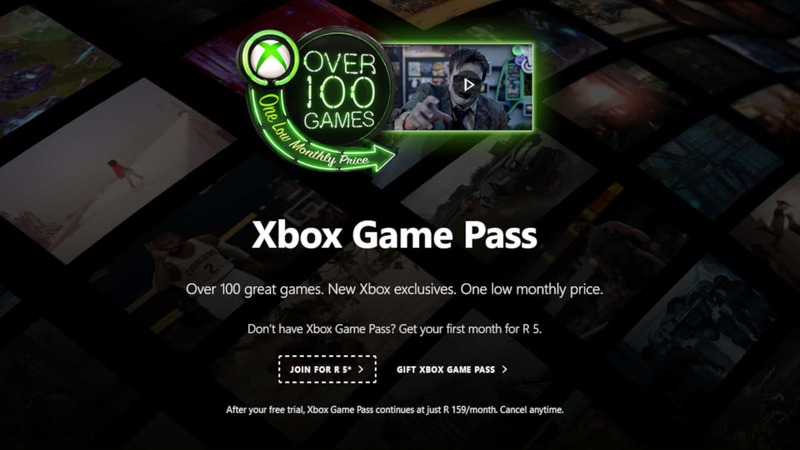 With more titles being added on a monthly basis, Game Pass seems like a sure-fire way to enlarge your library, whether you are new to the Xbox ecosystem, or an experienced veteran with hundreds of games to your gamertag. The Game Pass deal seems to be active worldwide. This means that the first month costs R5 or your regional equivalent, in all Gamer Pass markets… except Quebec [no idea why].